Shah Sikandar was born on 29th of Shaban 959 A.H. His patronymic appellation (Kunyyat) was Abdul Hasnaat and is known by the titles of Raus-ul-Auliya and Mahboob-e-Elahi.  He never sucked milk in day time during the month of Ramadan, but took it at the time of evening prayer which imply he strictly followed Shariah during his infancy too. He was grandson of Hazrat Shah Kamal Kaithali, and son of Ameer-ul-Arifeen Hazrat Shah Imad-ud-Deen. He is his childhood was spiritually benefited by his grandfather and got mystic cloak of servitude and Faqr from him. teachers of Shah Sikandar began to respect him seeing charismatic types of occurrence in his personality since his childhood. God had bestowed on him such miraculous eyes that on whomsoever he cast changed his lot. The sinner repented and infidel turned Muslim. Shah Sikandar spent long span of time in austerities and became spiritual guide for training of the hearts and their moral purification in such a way that tyrants and oppressors abdicated tyranny and turned humble and pious. Negligent and careless folks became heedful towards religious obligation and those filled with agreed and excessive selfish desire for wealth turned ascetic and worshippers. Thus, whosever visited him became pious and religious minded. Countless travelers of mystic path were enlightened and become guide to the aspirants of Sufism. 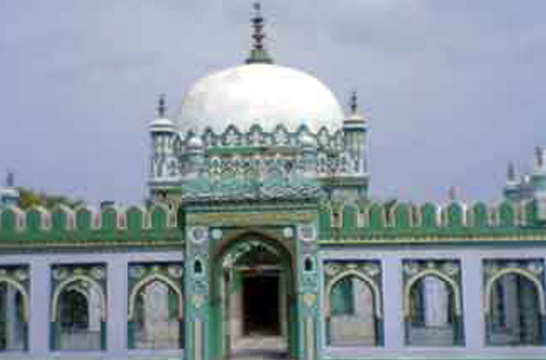 By nature Hazrat Shah Sikandar used to avoid kings and rich people. Sometime out of courtesy he would see them. Hazrat Shah died on 10th Jamadi-ul-Awal 1025 A.H.
Hazrat Shah Sikandar would especially concentrate towards the cleansing of lower-self and purification of the morals as they entirely depend on purified heart, If the heart is purified, the forces of goodness come into action. He and his Khulafa (disciples), by initiating movement for the revival of Sunnah (path of the Holy prophet pbuh) made record in the history of Islamic Sufism. Thus Shah Sikandar was indeed on epoch making personality acknowledged by all the sages of the time. The corrupted heart, corrupts the man He who took care of it became successful. 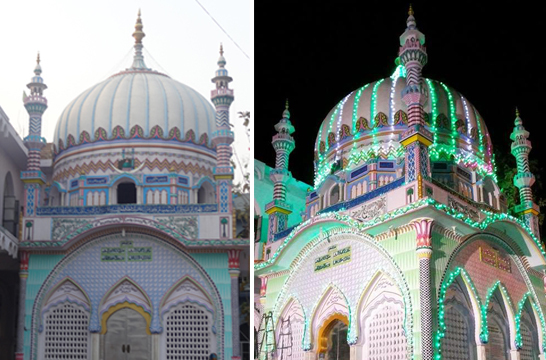 Hazrat Shah Sikandar following Qadriyya Sufi order gave new life to the dead hearts. Thus great sages and spiritualists of time such as Mujaddid Alf Sani, Sheikh Tahir Bandagi, Miran Shah Ramghari Rajputana, Pir Abdur Rehman Kotli, Mulla Idris Samanvi, Qazi Sadruddin Lahori, Mulla Abdul-Fath, Mulla Imam, Mulla Hadi, Mulla Mansoor, Mufti Sadruddin Gujrati etc. 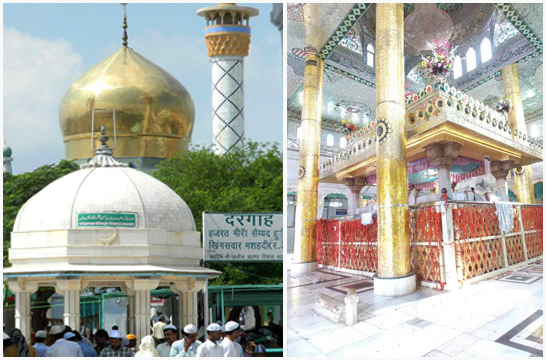 remained devotees of Hazrat Shah Sikandar who combated and defied Din-e-Ilahi of king Akbar boldly.